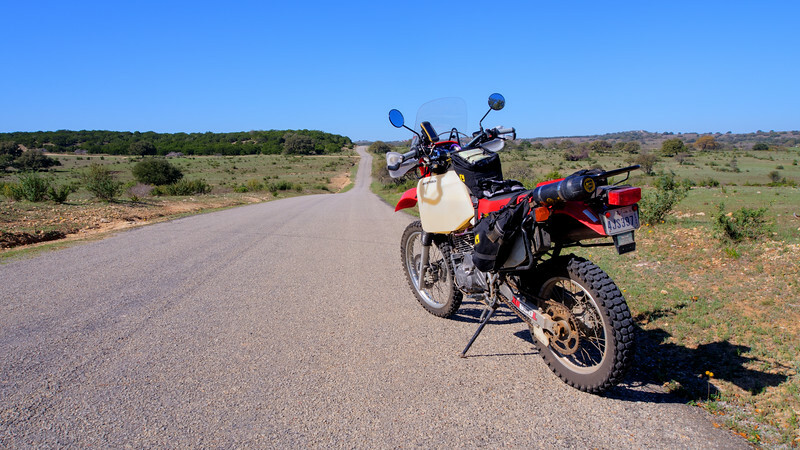 This is my (modified) Honda XR650L on a fine spring day in the Texas hill country. Designed in the 1990s, the XR650L is an old school, air cooled, carbureted, 650cc thumper. I’ve made a lot of mods, including engine and transmission work, in order to turn it into a better adventure bike. It’s not the fastest, lightest, or most modern, but it sure is fun to ride and easily meets my needs. I will soon find out how good a ride the XR will deliver, mayb next feb 2018 me and doug will take the XRs to El Salado, Mexico on a expedition of historic importance.